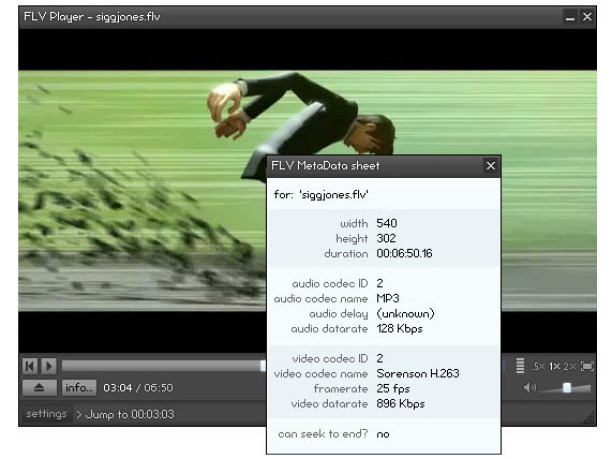 FLV Player is a tool to play Flash FLV and H.264 (MPEG-4) videos with. This utility can come in handy when viewing many FLV and/or H.264 files, as it doesn’t require the Adobe Flash IDE. The installer comes with optional FLV file-association, so double clicking an FLV file opens and plays the file in FLV Player. Version 2.0.24 adds support for the newly added H.264 (MPEG-4) format in the Adobe Flash Player and fixes bugs.